Marvin E. Katz, an attorney since 1994, is a business coach with ILG. He has over 25 years of combined legal & industrial engineering experience in the insurance, real estate, property management and financing industries. Mr. Katz works closely with ILG’s management and its director of marketing and strategic planning to facilitate maximum recovery for its clients through enhancing ILG’s process, procedures and technology, surpassing industry timelines and exceeding client objectives. 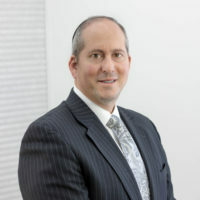 Mr. Katz has represented investors, individuals and large national companies and institutions in thousands of residential and commercial real estate transactions, has negotiated and drafted multi-million dollar commercial leases, handled asset forfeiture closings for the United States Marshal’s office and has lectured at local and national seminars, conferences and workshops. He has also served as an expert witness in law suits involving real estate transactions and title law. Mr. Katz’s unique knowledge of operations, along with his experience, skills and expertise, aids ILG in their proactive litigation against the insurance industry and being leaders in resolving insurance disputes.